Barbara Muir Paints: Showing in New York CIty! 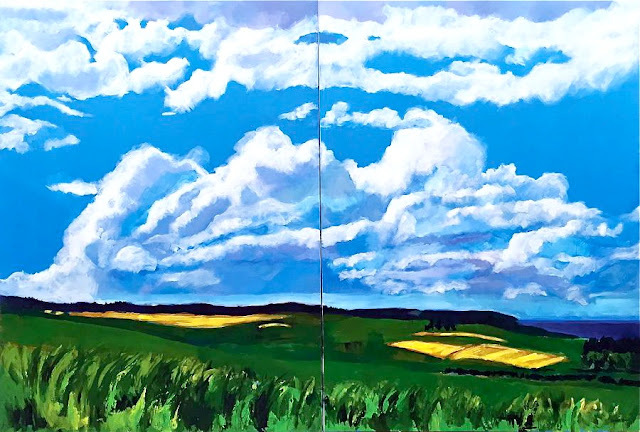 Diptych -- 4 ft. x 6 ft.
time in the next month to check it out. kept working in a large format until he was 86, when he died. New things hit me about the paintings every time I see them. happy, but each time I notice more colour surprises. Have an enjoying the art day.